Did you know that some of your favorite actors and actresses are incredibly talented in multiple artistic areas? I feel like attempts at this used to induce eye rolls, as in “Uh oh Vanilla Ice is trying to act….” or something similar. In the past couple decades though, it seems to be more common with crossover successes such as Jennifer Lopez and Mark Walberg. Celebrities writing books is not unusual, it probably never has been. Celebrities writing good books isn’t even that uncommon. I recently read Something in the Water by Catherine Steadman and was blown away by her writing skill and the story development PLUS she narrated the audio book and it was freaking amazing. What I find special about my brief list that follows is that these are actors who have been pillars of the film and TV industry in my lifetime. And not only have they written solid fiction, they’ve done is repeatedly and it’s damn good stuff! Is there anything this guy can’t do? Seriously. 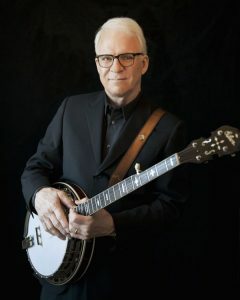 Comedy, acting, bluegrass music, writing, and I’m sure tons of other things I don’t even know about! Not only has Martin penned some of the funniest, most insightful memoir I’ve ever read, he’s written several novels I’ve thoroughly enjoyed. His humor and intelligence carry over into his fiction, as well as a deep knowledge for the subject matter surrounding the protagonists. 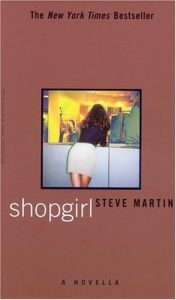 My favorite is Shopgirl, which he also turned into a movie, although I liked but didn’t find it nearly as charming as the book. Am I the only one who thinks everything this guy touches turns to gold? 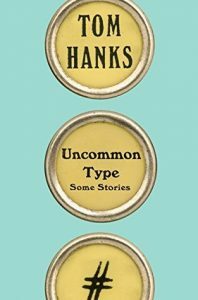 Short stories are not my favorite genre, but I couldn’t resist this collection because…well you know…Tom Hanks. The stories themselves are all pretty brilliant. There was only one I couldn’t quite follow. I listened to the audio book, which is fabulous. I’m sure I would have liked the stories if I’d read it on my own, so listening to Hanks read them was icing on the cake. His narration is excellent, he gives each character their own distinct personality, and some appear in multiple stories. The writing is impressive, there’s some humor yet also some darkness. 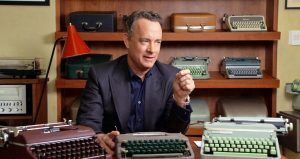 This book is exactly what I’d expect coming from Tom Hanks, and I hope he has more fiction in the works. Duchovny’s fiction is as quirky as you may expect, and it works. His writing is solid, the concepts are unique. 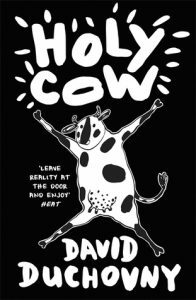 My favorite is Holy Cow, a novella in the form of a parable. It’s funny and touching, and also a little bit of a slap in the face. I love it! Have you read any of these? 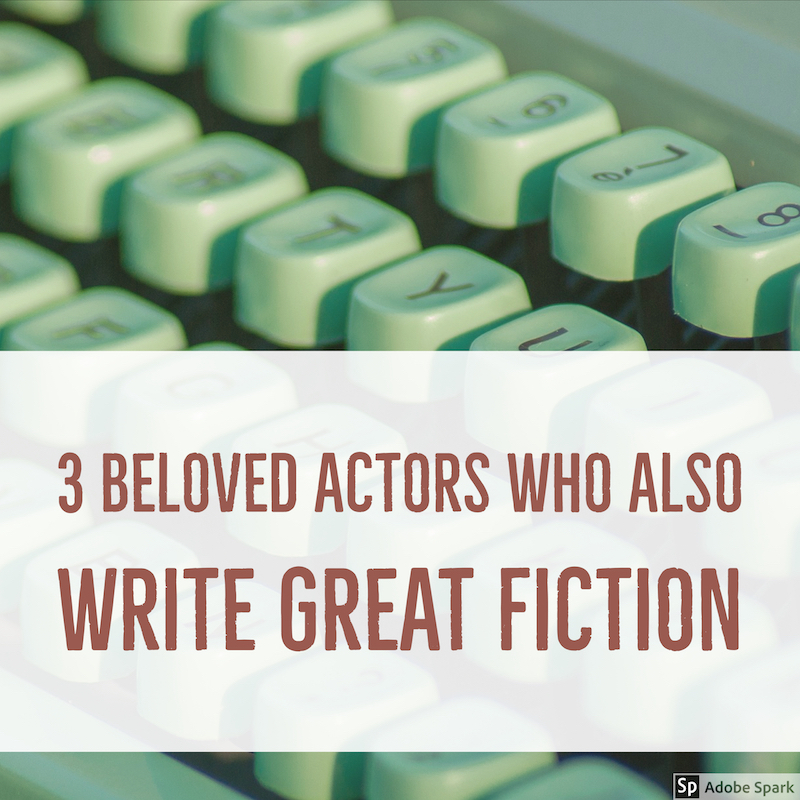 If not, do you have a favorite writer best known for another skill? 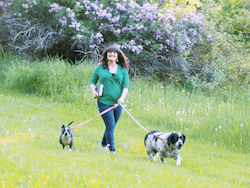 When I finish this blog challenge, I will be using up all of my Audible .com credits. Thanks for the great reading list. Oh, I love this read… Never really realised that great actors can also be great writers. And why not? No, I haven’t read any of the books you’re mentioning, but I do have my favourite writer with another talent, and that is Stephen King! As far as I know he plays guitar and sings in a band. That band is Rock Bottom Remainders and raises money for charity. I’m so glad you’re liking my recommendations. I hope you enjoy the books and I’d love to hear your feedback! Yes! I forgot Stephen King does that. Thanks for your kind words on my post. I hope yo have a chance to read some of these books! These are great choices. Duchovny was going to be a novelist and playwriter. Now he’s a novel writer, a script writer and a song writer. I love his writing style, he has such a quirky sense of humor that resonates with me. I haven’t read the other two books, I’ll check them out.